Twas the Saturday before Christmas and all through the house… there was activity! The pack went off during the night when Ric took Shiloh by our bedroom door so Shiloh could use the backyard. INTRUDER ALERT! Then when I got up Zenith went into the kitchen in front of Ric’s closed door and tried to declare an ALERT at 5:30 in the morning. That rebellion was quelled, but the tone was set for the day. Aurora was initiated in Dealing with Family! Ric and Geoffrey went out shopping early, leaving the pack +1 with me. More whining and pacing! Most of the day’s action was spent reassuring each dog, including the visitor. Mid afternoon I had time tp watch an Apex/Aurora play session in the back yard. But, it was a gray day and most of the shot have motion blur — it was an active, combative play session! This shot caught Aurora checking out the path by the lemon trees between attacks on her aunt. Aurora continues to run for the hide-a-pet and protection when Shiloh looks at her. But, it’s a pretty peaceful invasion… so far. 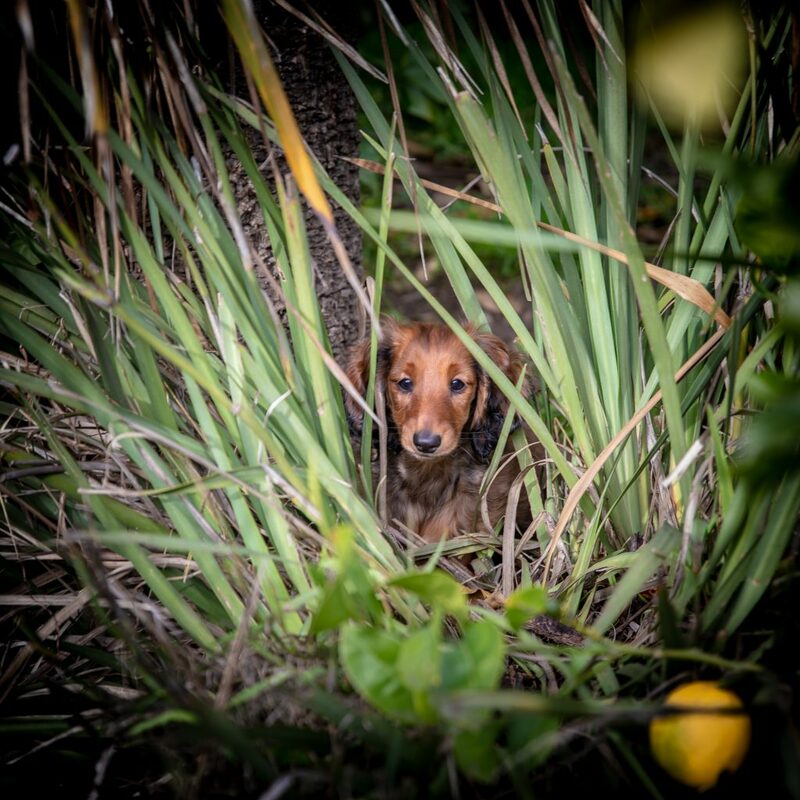 This entry was posted in dachshunds and tagged Aurora, backyard, dachshunds, puppies2018, zenith puppies. Bookmark the permalink.